Malik Reeves was born and raised in New York City and has lived in all five boroughs. Coming from a diverse background, Malik has always been a leader in his community who is passionate about making change. Prior to Good Call, Malik has experience in retail management and in working with community organizations. In 2017, Malik called Good Call when he was arrested. The lawyer he spoke to helped him keep his job and gave him the support he needed. 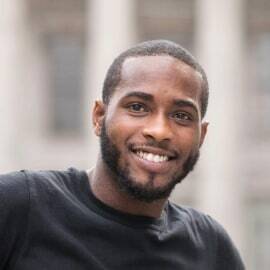 Shortly after, Malik became our Bronx Neighborhood Manager and now he is our Community Engagement Coordinator, leading outreach for Good Call in New York City.